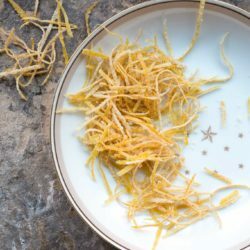 This candied citrus peel is a delicious garnish for cakes and pastries, capturing the fragrant essential oils in the peel in a sour candied treat. The candied citrus peel (I used pomelo) is coated with a mix of sugar and citric acid, a bit like delicious sour jelly sweets. I get my citric acid from the spice section of my local international food store. Great for cocktails too ? Eat the candied citrus peel as healthy-ish sweets or use to top cakes and pastries. I also like it in sweet/sour dishes like this Citrus salad with fennel and pomegranate (pictured). Juicy, fragrant citrus peel in a sweet/sour crystal coating. 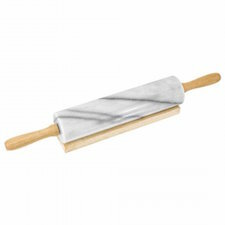 Transfer the coated peel to a piece of baking paper, arrange in an even layer and leave to dry (a few hours).